It is a good idea to mailmerge in newsletter. By using mailmerging you insert unique data on each subscriber in the system. This could, for example, be the first name of the subscriber. By doing this you make a personel newsletter. The simplest form of mailmerging is when, the subscriber is greeted by name: Dear Oswald contra Dear reader. 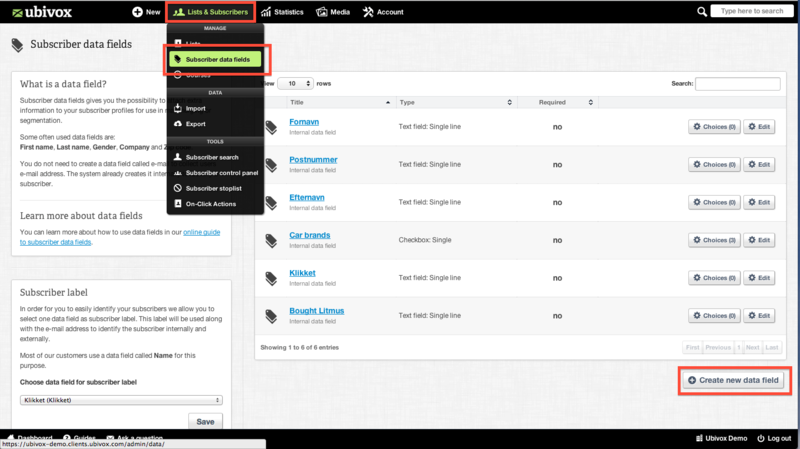 1) Create subscriber data fields. 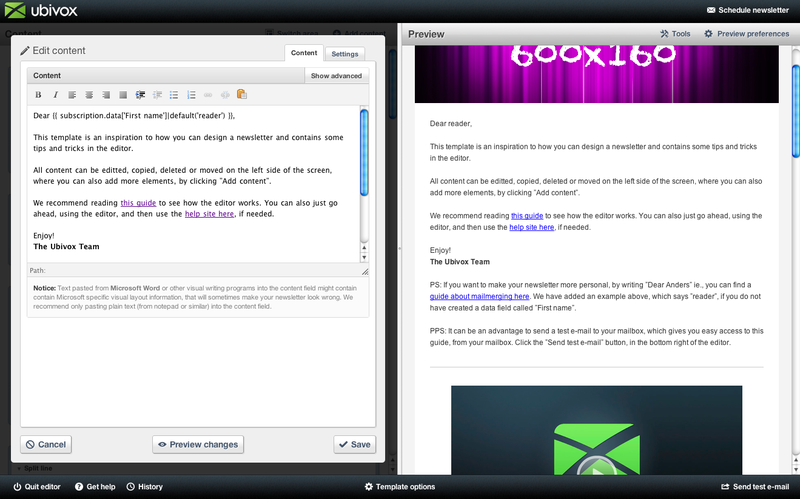 2) The next step is to open the newsletter in the editor and insert/copy the HTML code to the place you wish it to be. If you are mailmerging the first name of the subscriber (Dear Oswald), you can use simple mailmerging with the code below. Subscription.data covers you subscribers’ data. The first name refers to the data field. It is important that the data field has been created before you use it in mailmerging, since the editor will create an error message. 3) When you are getting ready to start mailmerging in a newsletter, you have to make your list into an import file. Saving it with the correct subscriber data does this. Therefore, you have to open your import file in Excel and create colons for each subscriber data field. You also have to insert the subscriber data information, i.e. first name and last name, into the file. Read our guide The difference between test recipients and system users, if mailmerging is not working. 4) Save the file and start the importing process. 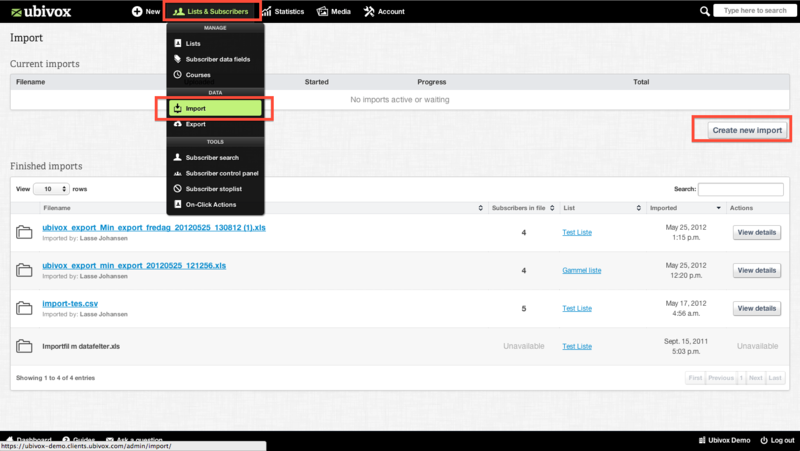 It will then appear as an extra data field on your subscriber list. Ubivox always considers an imported file as a new file. Therefore, if you have to update subscriber data, you have to mark this check box at the following site before you start the import. It is a one-time file, meaning that once it has been imported it is no longer connected to the list. It, of course, ads new subscribers, make updates etc. but it can no longer be used. Then the mailmerge would say Dear reader instead of just Dear. It is possible to create content that depends on the data fields. You can for instance make if sentences. The mailmerging is based on the template engine, Jinja, read more about it here. All of the options are possible, except inclusion and inheritance tags. Contact us at support@ubivox.com if you need assistance to the advantage mailmerging.